The dark time in American history of the arrest and internment of Japanese American citizens in World War II is contextualized in terms of the pre-war Kaiko Haiku, free verse poetry clubs that existed throughout California before the war by Violent Kazue de Cristoforo. In her book, May Sky: There Is Always Tomorrow: A History and Anthology of Haiku in the World War II Internment Camps for Japanese American Citizens (Sun & Moon Press, 1997), poet de Cristoforo documented the several poetry groups and their continuation in the camps, along with the various artists and others literally abducted from their legal residences in the paranoia born from American fears of the time and the resultant government imprisonment. Beginning with the history of Kaiko Haiku and the development of the clubs, de Cristoforo documents the haiku movement, its leaders, and her own involvement in the Valley Ghinsha Haiki Kai prior to the War, before she is transferred to the various camps which accomplished the “uprooting” of those groups and individuals through a US diaspora, before focusing in her book on the both the histories of the various groups—the Delta Ginsha Poets, the Denson Valley Ginsha Poets, and the Tule Lake Valley Ginsha Poets—while naming the individual artists and representing haiku from their restricted output in the camps. Along the way, de Cristoforo talks about the other artists in the camps and reveals camp conditions and the continual transition of the “prisoners” which ultimately destroyed the significant poetic contribution of Japanese Americans before the Second World War. Caught up in events of the War and the demands put upon American Japanese nationalists in the camps, de Cristoforo herself was ultimately expatriated to Japan to her birth city of Hiroshima, facing the nuclear devastation of that world. 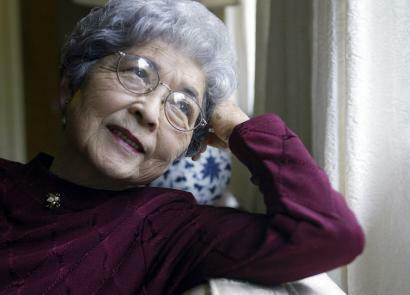 Working for the US government, she met her husband, Wilfred H. de Cristoforo, an Army officer stationed in Japan, and returned with him, against difficult restrictions, to her original home in Fresno. Among the original Japanese American teachers of the Hakiu was Ozawa Neiji (1886) and Kumuro Kyotaro (1885), teaching the original pre-war Fresno Club of Matsuda Hekisamei, Ozawa Waka, Gomyo Reiko, Hosoda Chiyoko, Shinda Yuko, Takeda Senbo, Miwa Kogen, Saga Shokoshi, Kawada Michiko, Sumioa Reishi, Kameno Kazuko, Uemaruko Shizuku, Yamada Shuko and Masumoto Bisho. The Stockton Delta Ginsha Group consisted of Agari Yotenchi, Fujita Tojo, Fukuda Hisao, Hirai Tokuji, Iguchi Tyonan, Kanow Soichi, Koyama Kido, Kume Seioshi, Kunimori Honjyoshi, Matsui Ryokuin, Morimoto Misen, Nakao Yajin, Okamoto Hyakuissei, Okamoto Kikuha, Okamoto Shiho, Ouchide Konan, Oyama Yashimatsu, Shintomi Daisha, Suzuki Shonan, Takaoka Hiroyo, Takaoka Senbinshi, Taniguchi Sadayo, Taniguchi Isamu, Tsuekawa Hangetsu, Tsunekawa Takako, and Yamada Jyosha. The Tule Lake Valley Ginsha Poets consisted of Hirai Tokuji, Matsuda Hekisamei, Matusuda Kazue (Violet Kazue de Christoforo), Matsushita Suiko, Morimoto Misen, Okamoto Hyakuissei, Saga Shokoshi, Sagara Sei, Suzuki Shonan, Takeda Senbo, Tateshina Byoso, Uyemakuro Shizuku, and Wada Hakuro.